THE CHAMPIONSHIP MATCH-PLAY DRAWS FOR BOTH SCRATCH & HANDICAP HAVE BEEN UPDATED AFTER TODAYS MATCHES. 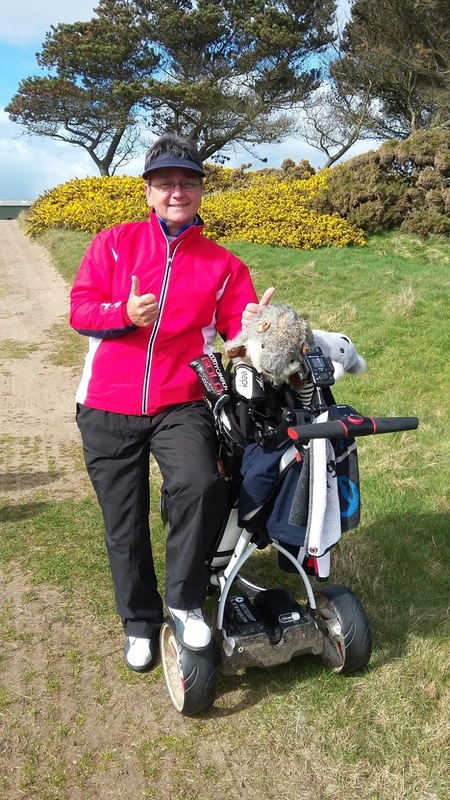 Ann Shepherd, Lochgelly wins the Spring Meeting and Coronation Medal at The Jubilee with a 97-25= 72 net. In second place was Ellen Caton, St Regulus with a 85-11=74 and in third was Shona Hutchison, Dunnikier with a 93-18=75. It was a beautiful spring day in St Andrews. Well done ladies and to all who took part. 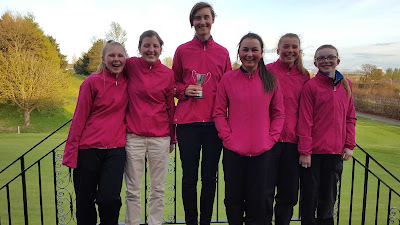 What a fantastic day for Fife County Ladies Golf Association Junior Girls who won the Cuthbertson Cup at Pitreavie Golf Club on Saturday 15th April , this is a team event played amongst the 4 counties in the East Division: Fife, Midlothian, East Lothian and Stirling & Clackmannan. The conditions can only be described as very windy and cold (well for us spectators it was) There was some fantastic golf played by all the girls. Huge Congratulations girls from all at FCLGA and to the other teams, the games were all played in very friendly and courteous manner. We hope that you all enjoyed playing the course and our huge thanks go to Pitreavie Golf Club for hosting this event. Congratulations to Anna, Evanna & Porscha for a fantastic performance this week in the Scottish Girls' Open Championship at Montrose. Evanna & Anna finished 49th & 55th respectively in a field of 102 players. Despite missing the cut Porscha kept a positive attitude throughout the competition which in itself is to be commended. Thank you girls for doing FCLGA proud. F.C.L.G.A. 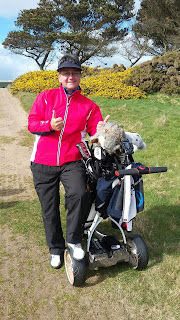 's Vice President, Lorna McKinlay, was in top form last weekend at Murcar Links in winning both her games for the Scottish Veteran Ladies' Golf Association's team in its defeat of the Irish Senior Women's team by 6.5 to 5.5 points. The teams play annually for the Mary McKenna Trophy which the Scots last won in 2009. Lorna partnered Fiona de Vries (Midland) in the four ball better ball match on Sunday to a win by 1 hole against the established Irish pair of Pat Doran and Suzanne Corcoran and topped that with a great win in Monday's singles over Sheena McElroy - one of Ireland's top Senior Internationalists over the past few years. Results from the President's Cup, Opening Greensomes held at St Michaels Golf Club on Sunday 9th April. 31 Couples played on what was a pleasant day weather wise. I'm sure everyone enjoyed the course and the hospitality from the club. The winners are 2 of our new members. Congratulations to the winners and to all who took part. Thanks go to St Michaels Golf Club from all at FCLGA for hosting our competition. 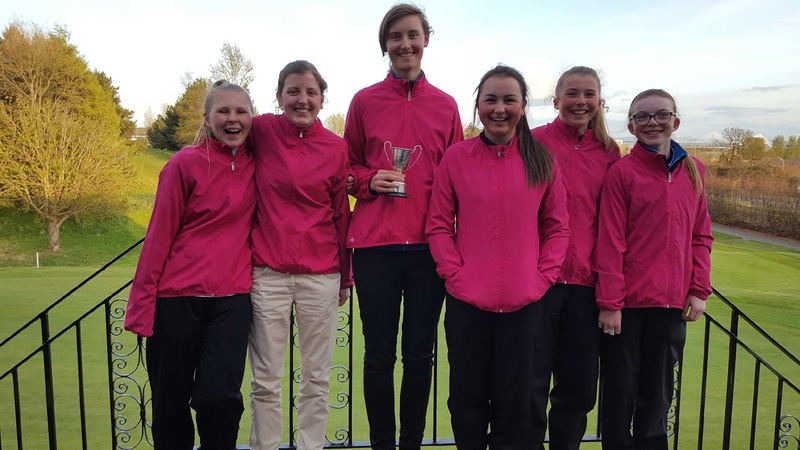 Also a reminder that the Cuthbertson Cup - Junior Team Event is being held on Saturday 15th April at Pitreavie Golf Club.